With July 4 landing on a Wednesday this year, it might be hard to hit the beach with just one day off—especially with all that traffic. But why would anyone want to be anywhere else this summer, anyway? Boston abounds with fun ways to celebrate the Fourth of July, from a Hawaiian-style tap takeover to classic New England clambakes. 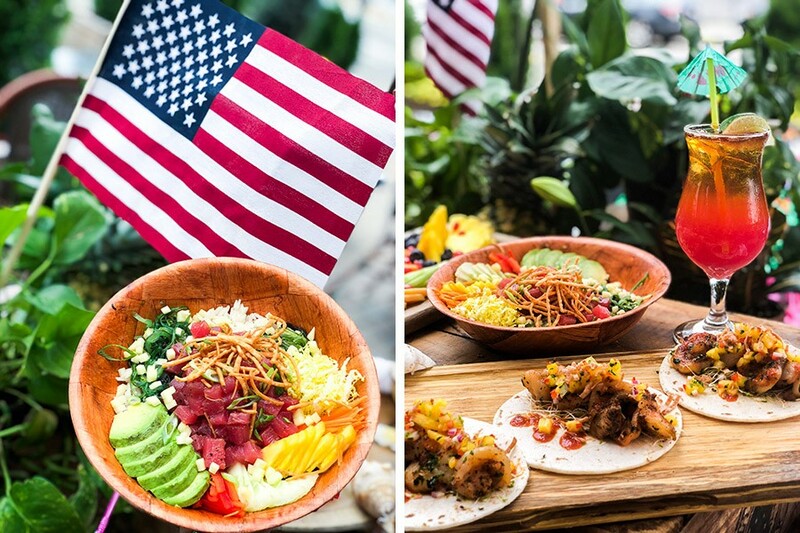 Want to see you Independence Day dining and drinking plans on this list? Email us, as we plan to update this guide leading up to July 4, 2018. Take cues from the 50th state this Independence Day. This Fort Point beer bar is throwing a luau with libations like beer bucket specials from Ballast Point, Downeast Cider, and Kona Brewing; tropical cocktails, and frosé. The “crazy feast” features Hawaiian-style fare including an ahi tuna poke bowl; coconut shrimp tacos; and tropical fruit tray. A la carte specials are on all afternoon, with games, beach swag, and live music by Boston cover band the Royal Furs from noon-4 p.m. on the outdoor oasis. 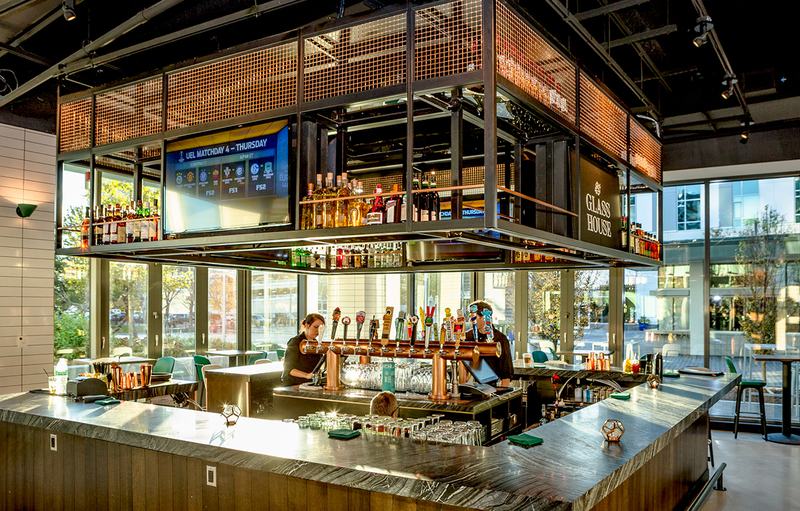 11 a.m.-7 p.m., City Tap House, 10 Boston Wharf Rd., Fort Point, Boston, 617-904-2748, boston.citytap.com. Somerville’s new maker marketplace is not yet a one-stop food crawl, but that day is drawing ever nearer with vendors like Maca macarons, Buenas Latin American foods, and Jaju Pierogi now open regular hours. But to make sure there’s enough food for everyone this Fourth of July, the hosts invite folks to B.Y.O.G.—bring your own gillables—to throw on the fire prvided in the courtyard. Remnant Brewing will be open and slinging beers starting at 11 a.m., and when the food is gone at 8 p.m., the dance party with Vinyl Index begins. B.Y.O.G. 11 a.m.-7 p.m., dance party 8-11 p.m., 1 Bow Market Way, Somerville (entrance off Somerville Ave. behind Sally O’s), bowmarketsomerville.com. 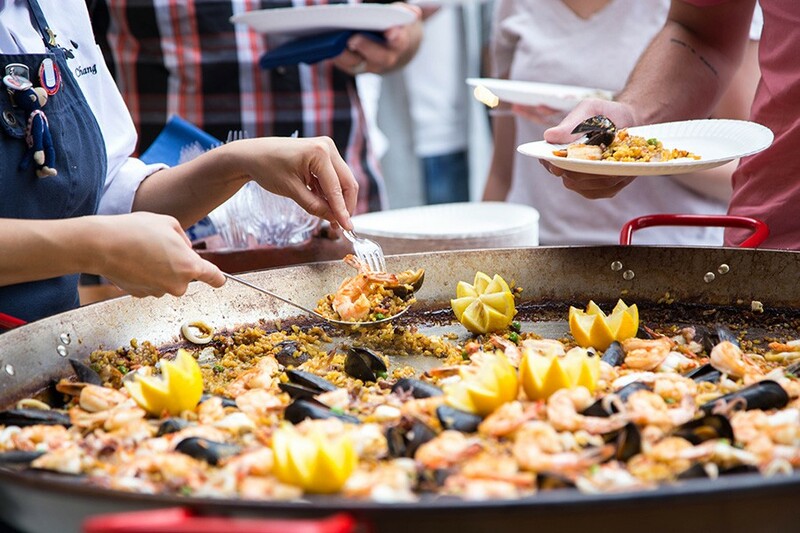 The patio grill is fired up to make a giant tray of Valencia-style paella with squid, shrimp, mussels, and more seafood ($12). There will also be Spanish sausages and Wagyu brisket sandwiches ($9) with fries, $4 Shacksbury cider, $5 beers, and $8 glasses of Pagu’s rosé sangría for dining al fresco, or taking to-go for a picnic or party-ready feast. Noon-6 p.m., Pagu, 310 Massachusetts Ave., Cambridge, 617-945-9290, gopagu.com. Spending the holiday in Jamaica Plain? Head to the neighborhood’s newest brewery for its first go at a sour beer. Turtle Swamp debuts FINE. (a sour beer) on draft on Independence Day, a summertime crusher brewed with tart, pink, dried hibiscus, and kettle-sourced at just 3.75 alcohol-by-volume. It’s also available in growlers to go, to take home and pair with the evening cookout. Noon-8 p.m., 3377 Washington St., Jamaica Plain, 617-522-0038, turtleswampbrewing.com. The fine folks over at Aeronaut clearly put a pencil to their temples, and connected it to their brains with this event listing, so they have the floor. “Hear ye, hear ye! Let it be known that on the afternoon of the Fourth Day of July, 2018, a Sacred and Storied Day to celebrate the Two-Hundred-and-Forty-Second Birthday of these United States, all ye good and brave patriots of Greater Boston and Her Nearby Counties are invited to Attend and Participate in an outdoor Sing-Along of the Well Known and Much Beloved modern theatrical extravaganza called HAMILTON: AN AMERICAN MUSICAL.” In conjunction with Boston Does Broadway and Zone 3, Aeronaut Allston is the beer garden where it happens, with brews flowing and food trucks vending from noon-6 p.m., and songs starting at 3 p.m. Prizes will be awarded for best costume and “most riveting stage performer”—sign up for a song here—and there will be opportunities to make donations to organizations that support immigrants and refugees. Obviously, do not throw away your shot. Noon-6 p.m., Aeronaut Beer Garden at Zone 3, 267 Western Ave., Allston, Facebook. 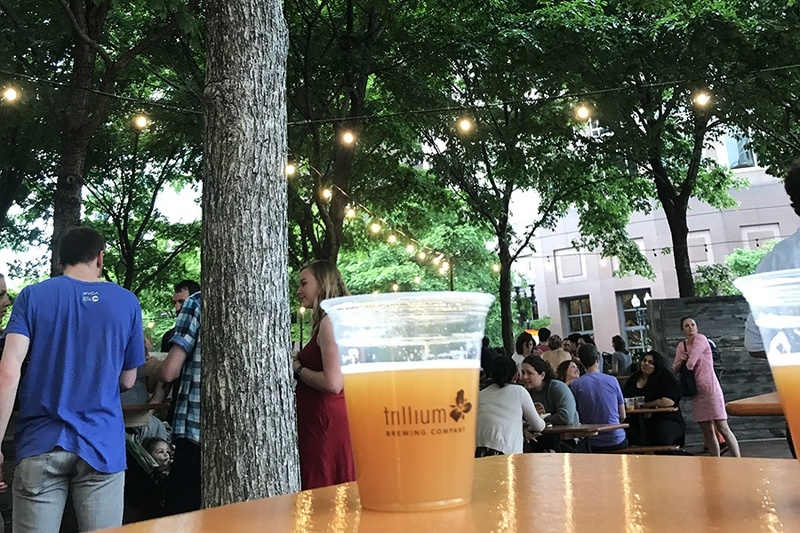 The Trillium Garden on the Greenway is open regular hours from 2-11 p.m. on Wednesday, with the annual fireworks spectacular showing in high-definition on the big screen located just over the fence, on the large plaza and lawn at Atlantic Avenue and High Street. The concert broadcast starts at 8 p.m., and ends with live-streamed fireworks starting around 10:30 p.m.
Trillium Garden on the Greenway, corner of High Street and Atlantic Avenue, Rose Kennedy Greenway, rosekennedygreenway.org, trilliumbrewing.com. This Everett Fermentation District taproom (and its patio) is open as usual on Wednesday the 4th, with complimentary wieners on the grill, and beers on draft like Loretta hibiscus farmhouse ale, Four Star Smoothie double IPA, and more. Next Door, Short Path Distillery (and its patio) will be open extended hours from noon-11 p.m., too. 3-11 p.m., Bone Up Brewing Company, 38 Norman St., Everett, boneup.beer, Facebook. If trying your hand at Emeril’s Fall River-style clam boil in your own kitchen isn’t in the cards this Fourth of July, get your steamers fix at this Kendall Square stop before the Boston Pops Fireworks Spectacular. Tickets include a lobster, plus an all-you-can-eat buffet of steamers, potatoes, corn, hot dogs, coleslaw, and more. Kids under 12 can take on the buffet for $10, and little ones under 5 are free. There will be lawn games, live music, and a cash bar. $50, 5-10 p.m., Glass House, 450 Kendall St., Cambridge, 617-945-9450, glasshousecambridge.com, Eventbrite. This regular weeknight event on the Boston Harbor continues as usual on the Fourth of July, with the Mike Dutra Strictly Sinatra Band taking the floating stage. Dance on the barge, or relax al fresco at Rowes Wharf Sea Grille with New England seafood specials and summer cocktails. Summer in the City is in its 20th year on Rowes Wharf; make a reservation and see the full lineup of free summer entertainment here. 6-10 p.m., Boston Harbor Hotel, 70 Rowes Wharf, Boston, 617-439-7000, bhh.com.